Following a consultation last year, the Government-owned company has announced its preferred options for the road to the East of Lewes, which it said will ease congestion and improve safety, especially at key pinch points. Four junctions along a nine-mile section of the A27 between Lewes and Polegate will be improved, a section of the Polegate bypass will be upgraded to a dual carriageway and walking and cycling facilities along the whole stretch will be enhanced. Highways England said proposals to upgrade Selmeston junction had been withdrawn after no options could be found that would deliver a worthwhile benefit without having an unacceptable impact on the South Downs national park. The announcement comes despite a controversial request to Highways England from transport secretary Chris Grayling during this year’s General Election campaign to spend £3m on a study examining options for a larger scheme to dual the route. 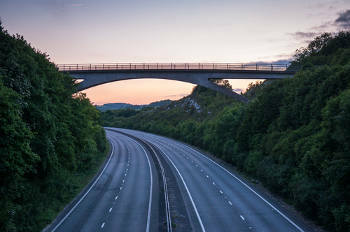 Transport Network has approached Highways England to establish whether this study is proceeding and, given that it was to be funded out of the £75m, how it would now be funded. Chris Todd, local groups campaigner at Campaign for Better Transport, said: ‘This is a welcome announcement from Highways England, which has dropped schemes that would badly impact on the South Downs National Park.